Distell’s head winemaker, Niël Groenewald said the 2018 wine grape harvest, some two weeks later than in previous years, had delivered healthy, good quality grapes, with the crop about 30% down on last year’s intake, although yields had differed across regions. 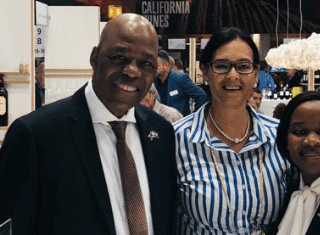 Distell accounts for slightly less than a third of total wine production in South Africa, with nearly a quarter of all grapes procured from its own farms. The company’s impressive premium wine portfolio features well-established brands including Nederburg, Durbanville Hills, Alto, Fleur du Cap, Zonnebloem, Plaisir de Merle and Allesverloren. Groenewald said Distell’s substantial footprint across wine growing areas of the Cape gives it ready access to grape and wine supplies, helping offset the drop in yields this year. “We have a very flexible sourcing policy with the manoeuvrability to respond to a variety of climatic outcomes. “It was definitely one of the most challenging harvesting seasons in recent years. But from what we can judge at this stage, the dry growing conditions seem to have had a relatively favourable impact on the quality of our premium quality grapes, depending on growing area. He said reds with intense depth of colour, full, ripe flavours and soft tannins can be observed in Cabernet Sauvignon, Petit Verdot, Pinotage, Merlot and Cabernet franc from Stellenbosch; Cabernet Sauvignon, Merlot, Cabernet franc, Petit Verdot, Carignan and Grenache from Paarl; as well as Ceres Pinot noir. “We are satisfied with alcohol levels at around 13.5% across the board for our red wines. “Poor set” (millerandage) is a viticultural challenge in which grape bunches present berries that differ in size and maturity. It’s caused by cold, rainy or otherwise bad weather during the flowering stage of the vines. While “poor set” will in most instances cause a drop in yield, its potential impact on wine quality varies. “Frost damage at the end of October had a negative impact in certain areas. High temperatures exceeding 35˚ Celcius (95˚ Farenheit) in December and January, very little rain during this period, and the preceding growing season, as well as the limited availability of water for irrigation, all played a role in shaping this year’s harvest. 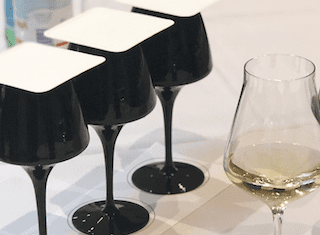 “Crushing across our cellars was very evenly-paced across the months of February and March, with uneven ripening experienced almost across the board in the case of white wines. A portion of premium Sauvignon blanc and Chenin blanc had to be harvested some two to three weeks earlier at lower sugar levels to retain freshness, spectrum and intensity of aroma and flavour, resulting in lower alcohol levels. “Both premium Sauvignon blanc and Chenin blanc tonnage are down, while early predictions on eventual wine quality seems outstanding. Chardonnay came in on par with expected volume and excellence grade, mainly due to its innate ability to weather harsh conditions. “Vineyards situated at higher altitudes proved resilience, such us our Pinot noir vines situated at the top of the Matroosberg close to Ceres. It delivered largely stress-free fruit at a good level of phenolic ripeness. 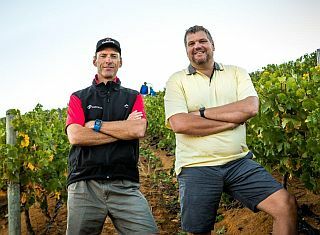 “Dry-farmed vineyards, particularly those located in Simondium (situated between Paarl and Franschhoek) and Darling, were harvested earlier than vineyards that received supplementary irrigation. This was done to prevent further vineyard stress and the resulting higher pH values in grapes. “In contrast, some of our reds such as Cabernet Sauvignon and especially Shiraz are being harvested later than expected, with flavours subdued but now coming along nicely with the recent rains and cooler temperatures following quite an extensive stretch of hot, dry months. Groenewald also said they’re expecting good noble late harvest and special late harvest wines from the 2018 vintage, given some rain in March and April. Groenewald confirmed that all the company’s grape suppliers were compliant with the South African wine industry’s socially sustainable programme run by the Wine and Agricultural Ethical Trade Association (Wieta). Distell was also continuing to implement water saving strategies from soil to cellar through techniques such as deficit irrigation and by using recycled water for the cooling towers in the cellars, applying more efficient chilling processes and rigorously following water-wise cleaning regimes to eliminate water wastage. In addition to the production site-based water savings, Groenewald said the company is focusing on the more judicious use of water in many of its vineyards. The vineyard initiative forms part of Distell’s water management programme being fast-tracking in honouring the company’s commitment to reduce the amount of water used to produce its range of beverages, with impressive progress made since 2009. 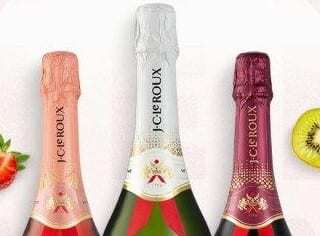 The goal is to curtail by 25% the water consumption per litre of total packaged product across its full range, including wines, spirits, ciders and RTDs by 2020, using 2009 as the base year. During its past financial year, Distell has invested more than R200 million in its water management programme and plans are in place to guide the company to full sustainability in water, with negligible reliance on municipal resources within the next three years. Small portable pressure chambers or “pressure bombs” have been in use since the 2011 harvest to gauge the leaf water potential in the vines as a basis for determining optimal irrigation strategies. Certain vineyards had seen savings of up to 40% as a result. He also stated that Distell uses infrared technology called ‘Fruitlook’ to gauge the growth and progress of vines and to determine differences in the growth of portions within a vineyard, and between different vineyards. Distell is set on advancing its vine planting programme to include more drought-resistant grape varieties. The company’s Nederburg winery in Paarl, in particular, has been experimenting with Mediterranean varietals well-suited to changing climatic conditions for more than a decade. Tempranillo and Graciano were established at its Simondium (between Paarl and Franschhoek) farm in 2004, and Carignan and Grenache were planted at the Nederburg property in Paarl in 2008, as was Chambourcin, Vidal blanc and Seyval blanc, in late 2016. Additional plantings are planned. Distell is also making greater use of more drought-resistant rootstocks for mainstream varietals such as Cabernet Sauvignon, Merlot, Pinotage and Sauvignon blanc. For more on Distell and its portfolio of brands, go to www.distell.co.za. To watch a Nederburg video capturing the 2018 harvest, click here: https://bit.ly/2HRxdvx.